Welcome to the Official Website of Todd Poulton - The Reigning World Heavyweight Champion of OCD, 4-Time Celebrity Boxing World Heavyweight Champion & Proud Member of the Berkshire County Boxing Hall of Fame! watch Poulton live on WPDE tv abc 15 news promoting southpaw's boxing academy! The champ appears on news 13 for tv interview about giving back to the community! 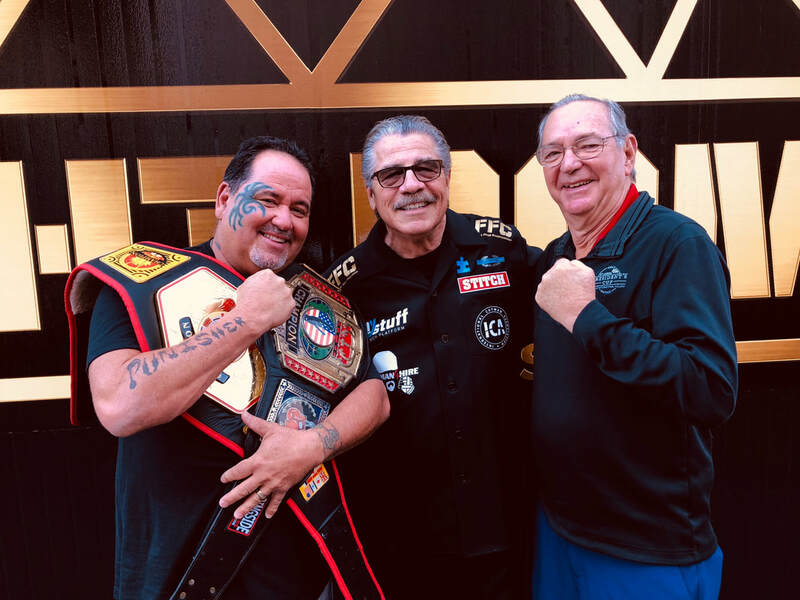 "The Punisher" visits Las Vegas and meets with Legendary Combat Sports Cutman and Cornerman, Jacob "Stitch" Duran, who appears in the last Rocky movie, "Creed II" which hits theaters on Thanksgiving Day! Poulton and his cornerman/cutman, Coach Paul Procopio, discussed combat sports safety and health during a meeting that took place at Fight Dome Las Vegas, the all-new Mecca of combat sports (located at Caesars Entertainment's Rio Las Vegas. poulton wins his retirement fight with a blistering 2nd round KO vs. Danny Evans!! Todd "The Punisher" Poulton destroys former Amateur Boxer and current Pro Wrestler, "Dangerous" Danny Evans, in the final fight of his Celebrity Boxing career. In front of his hometown fans at Wahconah Park in Pittsfield, MA, the 4-Time Celebrity Boxing Heavyweight World Champion retained his title in the boxing Main Event of "Wrestling Under The Stars". Poulton retires with a devastating 2nd round KO vs. Danny Evans, in what was a rematch of their exciting title fight in 2016, also won by Poulton. Click the logo above to read the full article. the champ is coming out of retirement for the "farewell fight" of his storied career! Todd poulton is a true people's champion! Todd Poulton has been fighting more than just opponents in the ring! Poulton has been fighting his own anxiety disorder (obsessive compulsive disorder or OCD) his entire adult life and now, he's finally winning the battle with his mental illness and he's giving back to the community (including several local and national charities) in the process! 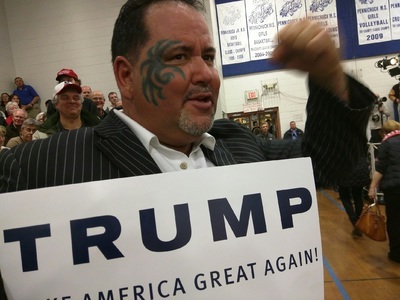 "The Punisher" has been in the ring with the likes of former Major League Baseball Superstar, Jose Canseco, Hollywood Bad Boy Dad, Michael Lohan, and former WWF Wrestling Superstar, Brutus "The Barber" Beefcake.... Just to name a few! 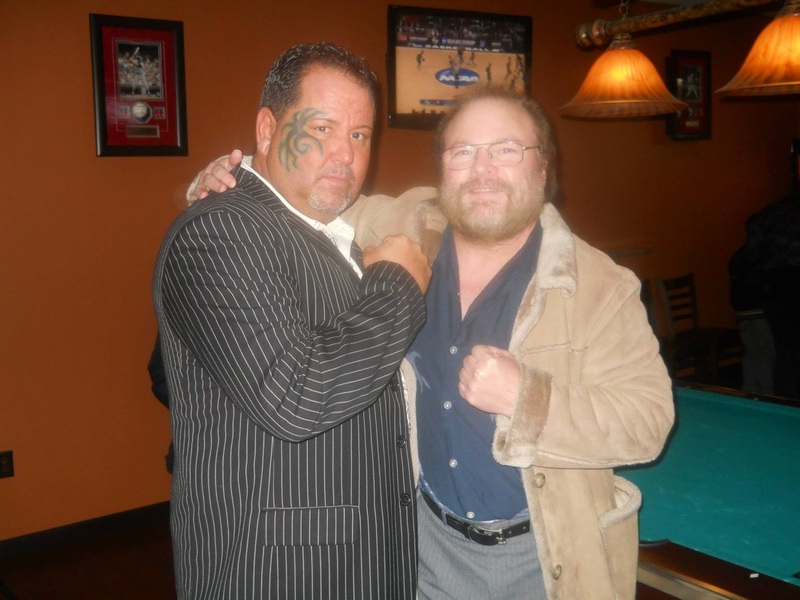 When he's not in the ring fighting Celebrities, Poulton can be found donating his time to coordinating charity events and fundraisers, and assisting children and adults with developmental disabilities, brain injuries, etc. In addition to his work as a Human Services Advocate, Poulton is also a Motivational Speaker, traveling the greater North East and beyond sharing his inspirational story with various schools, hospitals, businesses and organizations. Todd "The Punisher" Poulton will fight for one last time on the evening of FRIDAY, AUGUST 24 in a "Special Attraction" Main Event Bout at Historic Wahconah Park in Pittsfield, MA. 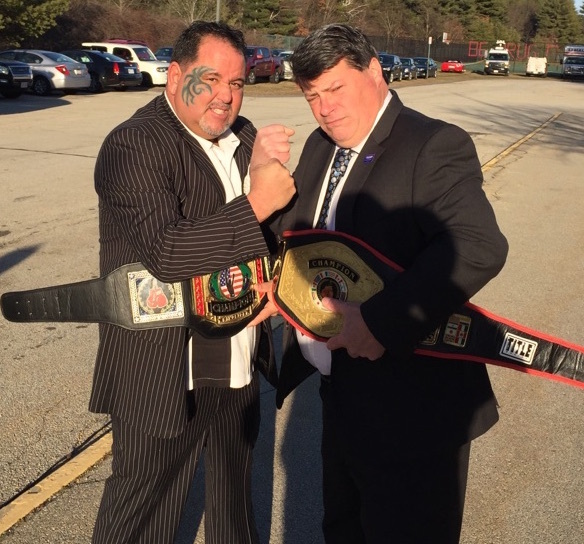 Poulton's "farewell fight" will take place during a professional wrestling event promoted by Michael Lombardi of North East Wreslting (NEW). Please click The Berkshire Eagle photo below to read more. take boxing lessons from the champ! 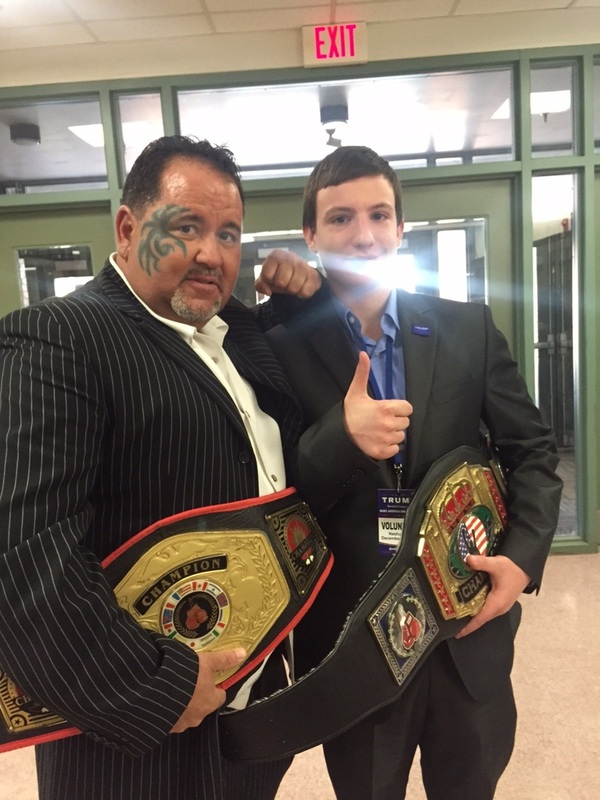 Watch the champ on wpde tv abc 15 news talking about his charity fundraiser! 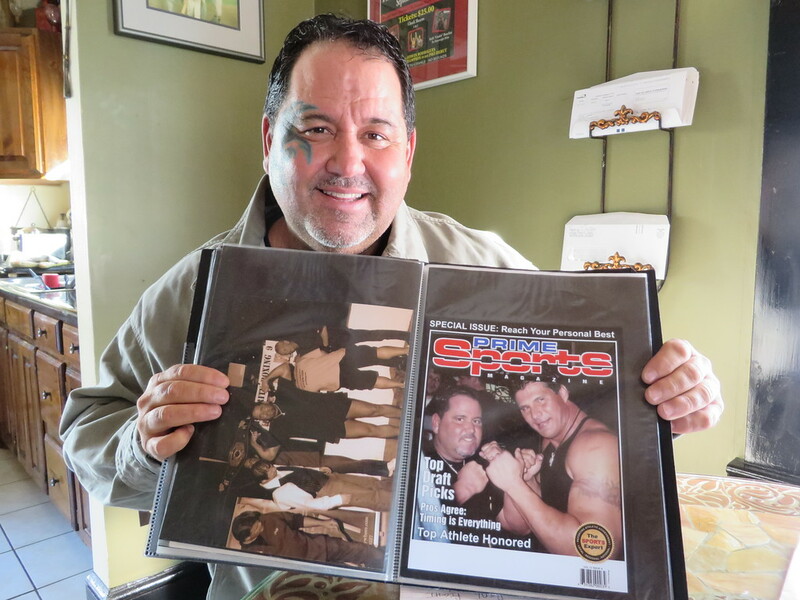 poulton inducted into boxing hall of fame! The Champ endorses film "bleed for this"
Todd "The Punisher" Poulton encourages all of his fans to watch the movie, "Bleed For This" starring Miles Teller, Aaron Eckhart and Katey Sagal. 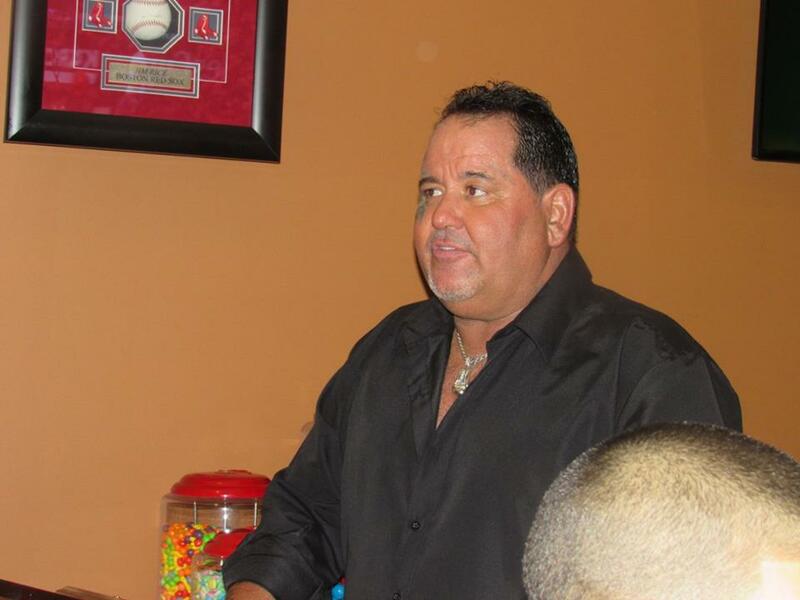 The film, which is out in theaters now, is based on the true life story of 5-Time World Champion Boxer, Vinny "The Pazmanian Devil" Paz (formerly Vinny Pazienza) who happens to be an inspirational figure and a hero to Poulton. 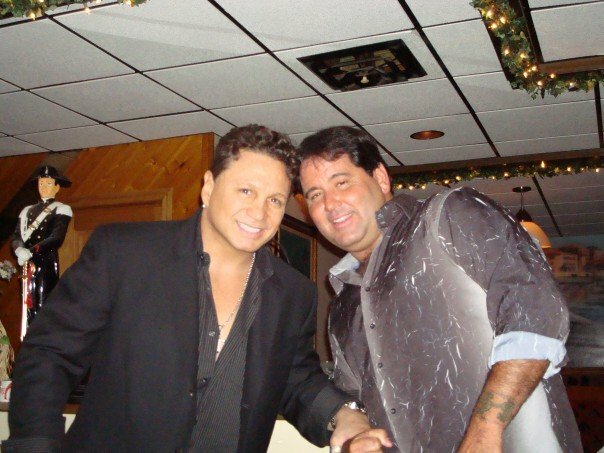 Vinny Paz was always one of Poulton's Boxing Idols, and the two have become friends (pictured below) with Paz serving as a consultant to Poulton's Celebrity Boxing career. Watch the movie "Bleed For This"! poulton wins by vicious 3rd round knock out! Todd "The Punisher" Poulton retains his Heavyweight Title and improves his Celebrity Boxing record to (12-1) with a "Punishing" 3rd Round Knock Out in his Main Event bout against "Dangerous" Danny Evans. Click the photo to read the Berkshire Eagle story and Watch the VIDEO below! "the champ" survives rare stingray attack! vicious stingray attack in South Carolina. The Champ makes his much anticipated return to the ring on August 26th, when he fights at Historic Wahconah Park in Pittsfield, MA. Poulton will put his Celebrity Boxing World Heavyweight Championship Belt on the line when he fights Professional Wreslter "Dangerous Danny Evans" from the popular Northeast Wreslting (N.E.W.) series in a 3-Round Celebrity Boxing Title Match. You can purchase tickets for "Wrestling Under The Stars" NOW at www.northeastwrestling.com. Listen Now to Todd "The Punisher" Poulton's recent interview on the popular podcast, "The Reed Grubbs Show", hosted by New Hampshire based blogger and podcaster, Reed Grubbs. ​- Just Click on the logo to the left. Enjoy! 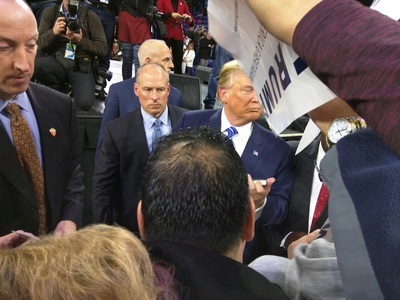 Republican Presidential Candidate, Donald Trump, and Todd "The Punisher" Poulton finally had a chance to briefly discuss the incident in Nashua, NH that made national headlines, involving Poulton and a Trump protester. The meeting between Poulton and Trump took place recently following a Trump Rally at a sold out Tsongas Center in Lowell, MA. 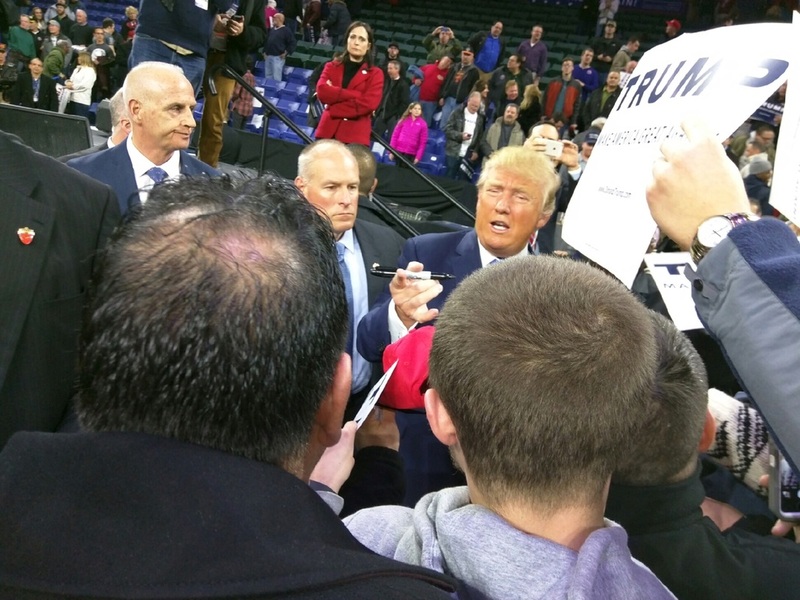 You can read the full story by clicking here - Todd Poulton at Donald Trump Rally Story. 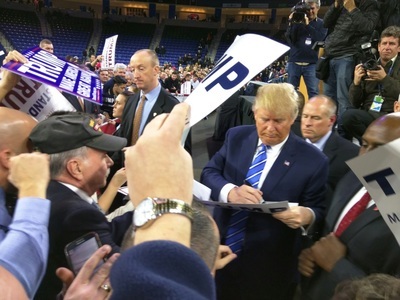 Poulton is supporting Donald Trump for President of the United States and oddly enough, the two have a mutual friend in former baseball superstar, Jose Canseco, who fought Todd for the Celebrity Boxing Heavyweight Title, and who appeared on Trump's hit NBC TV Reality Series, "Celebrity Apprentice." Poulton was posing for pictures and conducting media interiviews during his recent appearance at the "Donald Trump For President" rally at Pennichuck Middle School in Nashua, NH. Poulton makes his acting debut in 2015. The Champ will appear on the upcoming season of the hit TV Show, "Sleepy Hollow", which airs on Monday evenings nationally on the FOX Television Network. 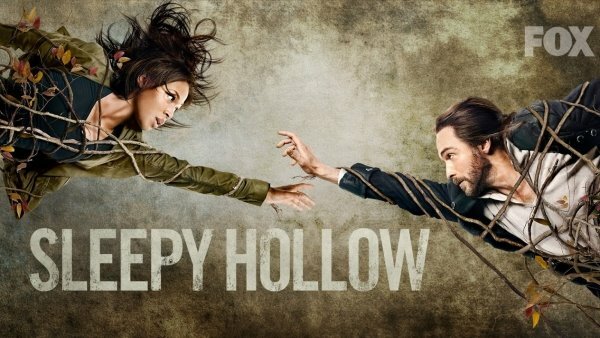 Poulton will appear on episode 14 of "Sleeply Hollow", which is scheduled to air on Monday, January 26th. Read all about Poulton's appearance in the FOX TV Series, "Sleepy Hollow", in a recent edition of The Berkshire Eagle. Story written by Jenn Smith. Click Photo below to read the feature story about The Champ's acting debut. Get your company logo (with a direct link to your website) or business card, featured here! If you'd like to sponsor one of the most popular and beloved celebrity fighters in the world - Here is your chance to associate your company's logo, name, image, etc. with "The Champion of Charity", Todd "The Punisher" Poulton. Here at Team Poulton, we offer several opportunities and price packages to maximize your company's exposure! If you're interested, please fill out the form on our sponsor page by clicking on the red sponsor button below, and we'll be more than happy to answer your questions regarding our many sponsorship options.